The North Carolina Tar Heels took the national college men's traveling championship to the final game a year ago, and lost it. This year, they came to the final game empty handed and left it with the title. Head Coach Roy Williams and his North Carolina Tar Heels hold the long version of the Ear of Corn after their 71-65 win against Gonzaga Monday night (Zeke Smith/Creative Commons Attribution-Share Alike 2.0 Generic license). 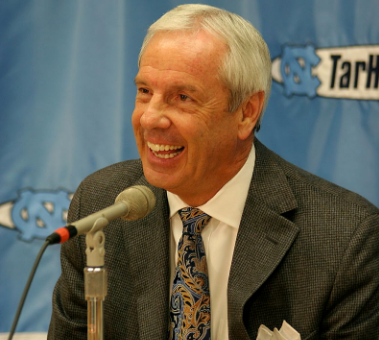 So, after a year, the traveling championship of men's college basketball is back to North Carolina. The Tar Heels, who lost the title in a 77-74 decision to Villanova in last year's national championship game, didn't get another crack at it until this year's national championship game. And they did not let Monday night's opportunity slip. The Heels defeated Gonzaga, 71-65, capturing not just the national title, but the long version of the men's traveling championship, in which they dominated last season. The Zags held every lead for the last 15 minutes of the first half, but the Heels took the lead in the first minute of the second half. But it remained tight. Carolina held a 56-52 advantage with 6:23 remaining, the largest lead for either team until the last 12 seconds. At that point, though, Justin Jackson dunked off a pass from Joel Berry II, extending Carolina's advantage to 70-65. When Gonzaga turned it over on its next possession, the game was all but over. Carolina now is 18-3 in games for the national long traveler, which began with the 2015-16 season. 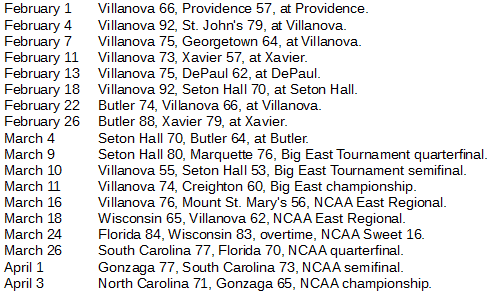 The only team with more wins for the title is Villanova, which ran with the title it won at the end of last year and rang up a 24-4 record in games for the champioship, all this season. 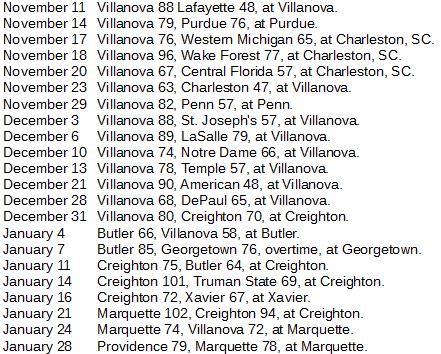 It was an eventful season, though, for the long traveler. The championship changed hands 13 times, including six straight times at the end of the season going through the national championship game. Last season, the title changed hands a total of 12 times. The longest stretch of consecutive title changes was four games, all during the postseason.